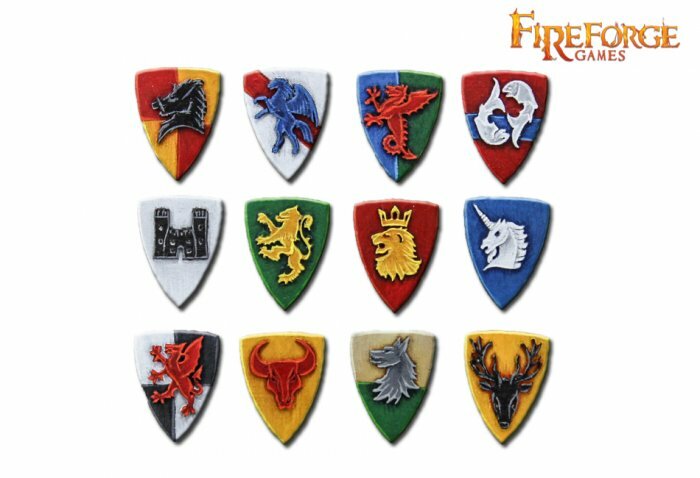 This pack contains 12 different shields in fine resin with embossed symbols. You can use them with our figures to built up fantasy knights/infantry. The shields are supplied unpainted.